For those who enjoyed my earlier Tonopah Reworked, I have now released Tonopah REBUILT. This is a complete rebuild of Tonopah, NV for ATS. The junctions have been rebuilt and resemble real life counterparts as best as possible at this point. There is still some work I would like to do on this, but I wanted to get it out to collect some feedback from others. Please be aware that for this version I have also added a garage in Tonopah so you may want to back up your savegame first. I have tested on 1.31.2 and working fine for me. 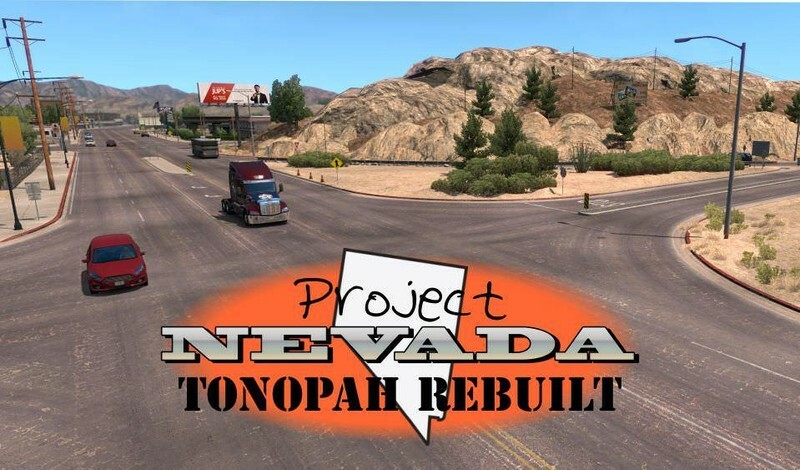 This is a complete rebuild of Tonopah, NV for ATS. The junctions have been rebuilt and resemble real life counterparts as best as possible at this point. There is still some work I would like to do on this, but I wanted to get it out to collect some feedback from others. Please be aware that for this version I have also added a garage in Tonopah so you may want to back up your savegame first. I have tested on 1.31.2 and working fine for me.